Roger Mayweather, uncle of boxer Floyd Mayweather Jr., was reported missing on July 30. He may be in danger because of medical issues. Police asking for help to locate him. 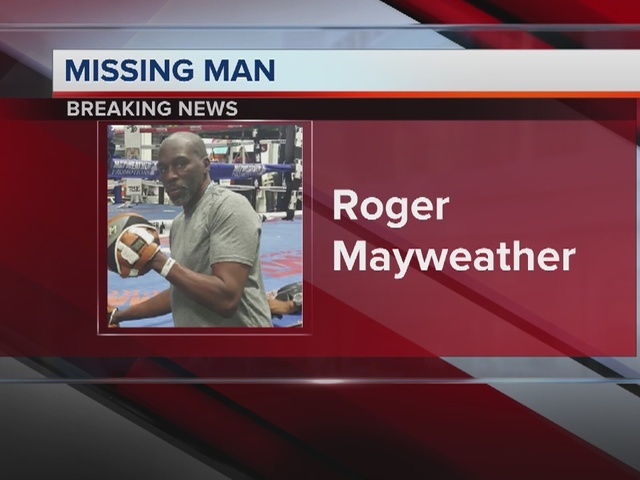 UPDATE: Roger Mayweather was found safe on Flamingo Road around 10:30 a.m. Sunday, according to a trainer at Mayweather Boxing Club. 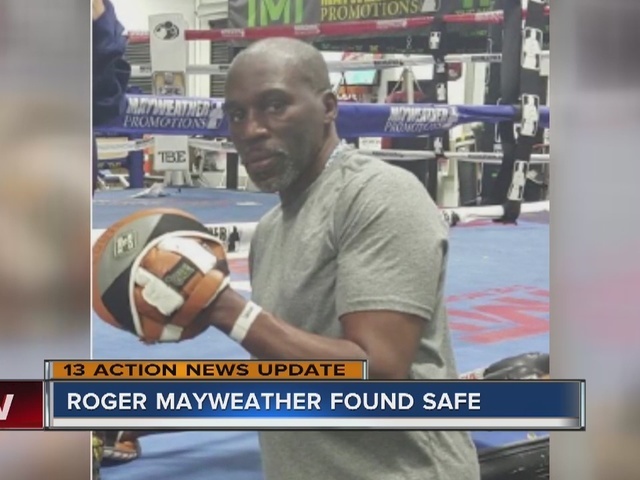 Las Vegas police confirmed that Roger Mayweather was located. He was found safe and there are no health concerns. LAS VEGAS (KTNV) -- Uncle of boxing legend Floyd Mayweather Jr. is missing in Las Vegas. Las Vegas police reported Roger Mayweather missing overnight. Roger Mayweather, 55, was last seen in the area of Spring Mountain Road and Valley View Boulevard at approximately 3 p.m. July 30. He was last seen wearing a white shirt, blue sweatpants and white tennis shoes. He might be suffering from several known medical issues, including diabetes, and is without his medication. The boxing club is on Schiff Drive, which is in the area where police say that Roger Mayweather was last seen. Anyone with any information on the known whereabouts of Roger Mayweather is strongly urged to contact the Las Vegas Metropolitan Police Department missing persons detail immediately.